Travel health insurance is not only just an activity that you can or cannot do before going outside of your country; it is now part of yourtraveling. If you open your U.S passport to page two, you will see there is a warning about health insurance. According to U.S Medicare that if you are planning to travel outside of U.S, you must determine what health insurance coverage you have and it doesn’t bear any insurance cost outside the United States. There are still many international travelers who do not have proper insurance coverage and the worse thing is that government sponsored health programs such as Medicare never cover in foreign country. Another thing is that if employee has employer-sponsored insurance coverage, the insurance company sometimes limits the foreign coverage to emergency care only. Ultimately the burden is on yours. That’s why it’s a better idea to get a health insurance while traveling outside. It cannot be easy of getting health care in some parts of the world because there are some hospitals which will not provide treatment or will not discharge until they has get the guarantee of payment. You will have to suffer physical or financial loss if you face any situation like this. The guarantee of medical payment is provided by the travel insurance company from which you have insured, but rarely the insurers care about insurance plans. If your insurance company does not response, you may have to pay in advance by your credit card and your card must have sufficient balance. Just make clear that they have insurance agents or managers where you are planning to travel or they will communicate with your hospitals as soon as you need. If you have health insurance in the U.S., before applying for another travel insurance policy, check with your insurance company what kind of insurance coverage they have foryou. If you are lucky, you see they have travel insurance coverage for you, but you need travel insurance plan if they do not have insurance coverage in your existence health insurance. Choose your travel insurance plan wisely because if any emergency they do not cover, you are on your own. Most of the travelers get travel health insurance because of protection against unexpected health emergency. Suppose you are traveling a foreign country and fall in accident, but medical treatments are not available and you need medical evacuation than you need travel health insurance. Another thing can happen that you need medical treatments but you are out of money, so it can be all getting worse unless you have travel health insurance with appropriate health coverage.After reading this you know the basics of travel health insurance, now the question is who should buy travel health insurance. Travel health insurance is not mandatory; it is advisable for all international travelers. Any traveler may buy it or travel without travel health insurance coverage, but the thing is no one can tell that anything will not happen to me. Unfortunately, if anything goes wrong, you will regret the decision when you see the unbearable medical expenses. Future is absolutely uncertain and travel health insurance is just an element to reduce this uncertainty. If you are one of these travelers, you need to buy travel health insurance immediately no matter where you are traveling. Before deciding to buy insurance you first know travel health insurance basics. Safety is essential for life which brings peace in mind. Your purpose of traveling will be fulfilled; you can enjoy the adventure of traveling only if you have travel health insurance. Enjoy your travel. Travel health insurance for people who have pre existing medical conditions is difficult than general travelers, that doesn’t mean there is no insurance plan for them. If you search online and compare travel health insurance policy, you will get different policies for various medical conditions are available. However, they might put some restrictions over the policy. The pre existing medical conditions mean various types of medical conditions for which medical treatments, diagnosis and medicines are recommended or received. The medical costs in foreign country could be higher and expensive, so without insurance coverage you may not pay the bill. Medical emergencies and claim in travelers’ destination are one of the largest expenses for travel insurance companies, so insurance companies offer high premium worth of insurance coverage for travel expenses, medical emergency, hospital treatment and medical evacuations. This is reason the insurance companies force to the travelers to pay high premium especially to those travelers who have greater health risk. If you have serious medical conditions like heart diseases or cancer which occurred years ago, you must have to reveal these problems yourinsurer. The travelers who have been cured from serious minor or major heart conditions or cancer must have todisclose these to their insurance companies. It is required frominsurance company to disclose the travelers any kind of medical conditions, but if you fail to reveal and the insurance company find any clue, they may reject your insurance coverage. Travel health insurance policies for travelers with existing medical conditions are designed as if travelers were fallen medical emergency because of previous health conditions while staying in foreign country, then travelers medical expenses would be covered by the insurance companies even if the costs is thousands. 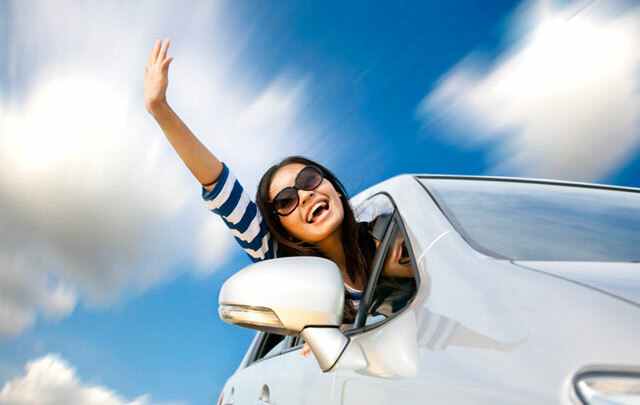 This confirmation which will be offered by the insurers may give the peace of mind to travelers. The premium of Travel health insurance for travelers who have previous medical conditions will normally be higher and the insurance company considers that pre existing condition within last three years. Also you can find few companies which consider only one year.